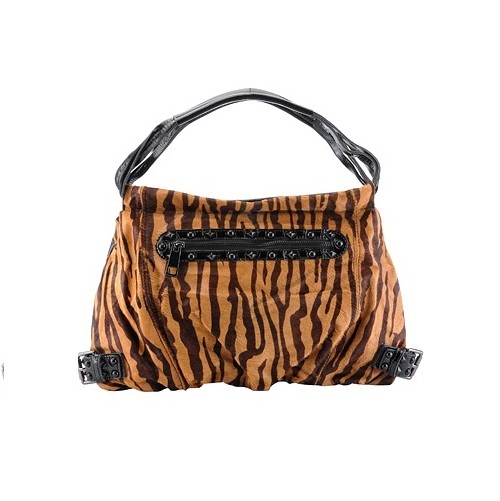 Keep it all together with stylish Tiger print hobo bag. Made of patent leather with Tiger print fur. Black color hardware Front zippered pocketsingle handle with an attachable cross body strap. Zippered closure Fabric interior lining with a back wall zip pocket and multifunctional slip pockets.